Stand-Your-Ground Law Clears Senate Committee! No, the anti-gunners in Des Moines aren’t saying that publicly — but they might as well have. Yesterday, in a 10-2 vote (with 1 Senator voting ‘present’) Stand-Your-Ground law moved through the Judiciary Committee with no amendments! Thank you for contacting the members of the committee and making your voice heard! 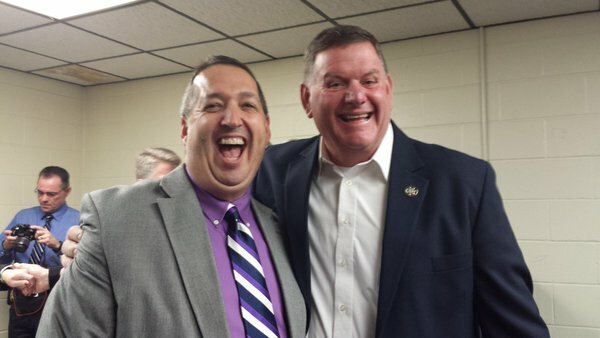 During the committee hearing, I almost had to laugh out loud as anti-gun Senator Kevin Kinney railed against the bill for ten minutes — only to back the bill when it came time to vote moments later. He should be, given the voting registration numbers in Senate District 39 and the fact that he’s up for re-election in 2018. And then there was Senator Tony Bisignano. When informed that he can’t vote ‘pass,’ he changed it to ‘present’ instead. It’s a far cry from last year, thanks to the hard work of gun owners who decimated the anti-gun Senate leadership at the ballot box. It’s also why we’re on the verge of passing the largest gun bill in Iowa history, as virtually no one wants to be on the wrong side of gun owners anymore! But we can’t let up the pressure, not for a moment. There are definitely going to be a mountain of anti-gun amendments offered on this bill from the radical anti-gunners remaining in the Senate like Janet Petersen, Joe Bolkcom, and Nate Boulton. They are going to try to remove immunity language from Stand-Your-Ground law. They are likely going to try to add more regulations on how and when a parent can teach their own children to shoot a handgun. And they certainly seem bent on trying to put the brakes on the pre-emption reform language. The exact date of the Senate vote hasn’t been nailed down yet. The moment we have this information, we’ll let you know. >>> Emailing your Senator; you can find his email address HERE. >>> Sending him a message on Facebook, as virtually all of them are on Facebook. If you need to figure out who your Senator is, Go Here. Make sure they know that you want them to vote for Stand-Your-Ground law (HF517) with NO WEAKENING AMENDMENTS! Thank you for all of your help getting us this far, but please keep the pressure on! And if you can, please help us prepare for the final showdown on the floor. Iowa Gun Owners is about to roll out a statewide media buy to mobilize gun owners, but we’ll need help getting it up on the air. Please donate what you can, today, to help us with this project! P.S. Yesterday afternoon, in a 10-2 vote, the Senate Judiciary Committee moved Stand-Your-Ground law through the committee with no amendments! Clearly the anti-gun caucus is scared as some of them, after railing against the bill in committee, voted in favor of it when forced to go on the record! We’re closer than ever, but we can’t let up the pressure — so please use the information above to contact your Senator and insist that he back HF517 on the Senate floor! And if you can, help us get ready for the final showdown in the Senate with a generous donation of $100, $50 or $25 as we’re about to roll out a statewide media buy to mobilize as many gun owners as possible. Stand-Your-Ground Committee Vote Confirmed for Tomorrow! Video Update on the Fight for Stand-Your-Ground Law in Iowa!